Enhance visual performance to meet defined needs of the patient. Visual perceptual (visual information processing) disorders. The systematic use of lenses, prisms, filters, occlusion and other appropriate materials, modalities, equipment and procedures is integral to optometric Vision Therapy. The goals of the prescribed treatment regimen are to alleviate the signs and symptoms, achieve desired visual outcomes, meet the patient’s needs and improve the patient’s quality of life. Vision Therapy, it turns out, is regarded with skepticism by some vision professionals — ophthalmologists in particular I suspect, who consider it ineffective at best and a sham at worst. VT got a bad reputation from its unfortunate association with The Bates Method, a therapy reputed to rid patients of the need for glasses by means of eye exercises and little else. So far as I know, this Method was not very effective, despite the claims. Vision Therapy as defined above, on the other hand, can be. Is, in my case. But more on that later. First, let me tell you a little more about it. First of all, after I had the prisms put into my corrected lenses, I went to see Dr D, the Vision Therapy optometrist, who did another exhaustive exam. When she had ruled out everything but what she called intermittent exophoria (“nearly constant in your case”) she recommended vision therapy, which I agreed to try for 2-3 months of once a week sessions, then re-evaluate at that time. Therapy, I soon discovered, involved using special glasses, polarized and red/green lenses to look at specialized pictures, and exercises meant to strengthen my ability to converge my eyes, something that was essential to my learning to see in stereo and which even my ophthalmologist grudgingly granted might help me. There were other exercises I did, using blocks and my fingers, trying to train my brain in a different way. At first, simple things like keeping my eyes on a pencil as I brought it towards my nose (the trick was to use red and green glasses and keep the pencil in sight of both colors and a single, not doubled image) were beyond my powers. But gradually I found I could not only do that with ease, but could even make a face magically appear between two other faces drawn on a piece of paper. Then I could converge my eyes in such a way as to have it appear in 3-D and be able to look at this from different angles. Yet I failed most of the time to perceive the real world in 3-D, in stereo. I knew this because I knew precisely when I did see 3D, knew from the sheer beauty of whatever I looked at that I was using stereovision. I had learned that if I had to ask myself, Am I seeing with stereopsis, then almost by definition, I was not. it was clear to me that I knew immediately and without questioning when I was. I could also tell the difference, if I wanted to, by testing myself on the palm tree in my apartment. I knew from past experience that when I saw it properly, each leaf stood out in relief, in its own plane and that I could pick each spear out, pick each one up separately. But when I could not see in 3-D the leaves became jumbled in green, a mess of intersecting lines and overlapping “things” I could not quite distinguish even as leaves. Then, voila, as if all I needed was a few days of good sleep, today “it” appeared, stereopsis and the magic late this afternoon. Then again this evening. Even as I am writing this, I have a bowl of yogurt next to me, and the very lumps of it look so exquisitely bumpy, defined by the space that surrounds them, that I cannot bear to disturb them by eating, except that taking a bite changes the configuration and thereby brings new bumps into view! 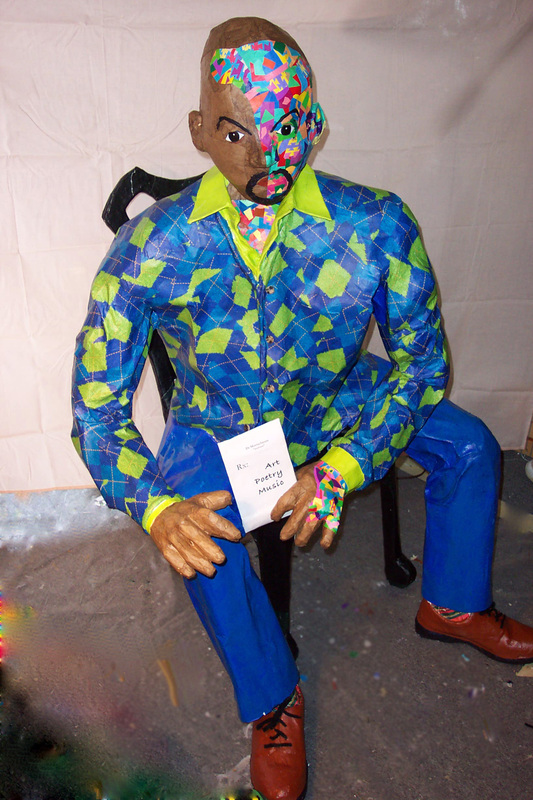 If I turn, I can see Dr John Jumoke, my sculpture, standing next to my chair, and he looks completely different in 3D. His hand in space, reaching out, has a surreal, magnificence – words literally fail me in trying to describe this – the curves of his fingers, the drape of his shirt… all leave me speechless at their beauty. On the other hand, I do not want NOT to see in 3D most of the time just because I am afraid it will become ordinary…Or do I? Perhaps I am indeed willing to sacrifice a life of 3-D for those special times when a moment of 3-D comes upon me unaware and wakes me up with its splendor! I would hate to never experience that ever again, which could happen if 3-D were an everyday experience instead. If this has not convinced you of anything, I recommend an article by Oliver Sacks called “Stereo Sue” (June 19, 2006, New Yorker) about the phenomenon of stereopsis, its loss and the regaining of it in adulthood. In it he describes the experience and the wonder of it better than I have. On Vision Therapy and Stereopsis, and an Honorable Mention to Boot! I just received word that a third poem won an honorable mention at New Millennium Writings. The first two will be in the volume just now to arrive in my mail box this week. The latest one will be published sometime next spring. 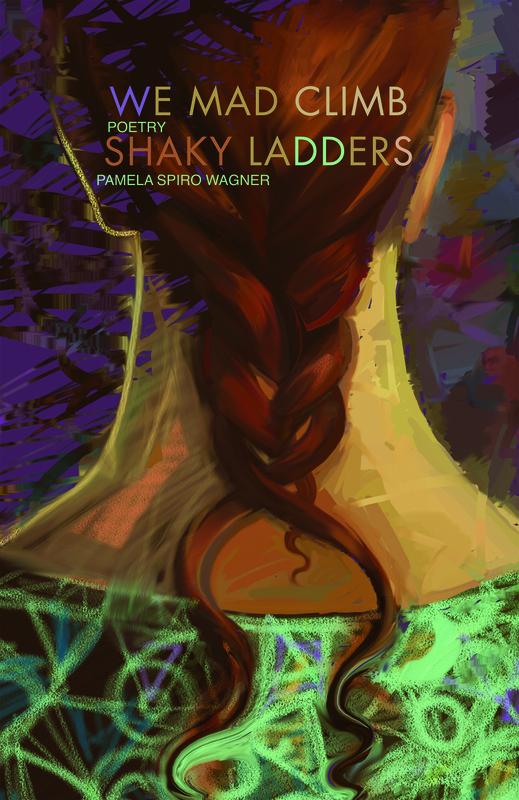 Old readers may be familiar with all three, but since they will be in my book, We Mad Climb Shaky Ladders, and have all been published on-line before, I will showcase only one here for now. (One was the “How to Read a Poem: Beginner’s Manual” that I already posted and the other was “The Prayers of the Mathematician” which also won the 2001/2 BBC World Service Radio International Poetry Contest.) Here is the poem that just won the HM — it is not a new one, by any means, but it is one of my longtime favorites. It concerns a friend from high school who committed suicide while in college and I was left to wonder why (along with her sister and her parents). what we’re always too late for. I could have saved her. has ever had a choice. ruthless and indifferent as a parking meter. of light illuminating the water. by which we’ll navigate our separate lives. glowing nightfish nosing amid algae. we will have traveled from that night. I never got to say good-bye. I went to vision therapy today, something I have undertaken in an effort to learn to experience stereo vision, which is to say depth perception. Once my double vision was resolved, thanks to my optometrist friend, Leora, (and not the ophthalmologist, who basically threw up his hands in frustration and gave up) who found the source of the problem in “convergence insufficiency” and exotropia, or a tendency of my eyes to go outward rather than to converge on an image or object…once that was resolved, I was determined to find a way to learn to perceive depth, something I had not known I lacked until Leora so informed me. I looked it up on the internet, and spent a long time at sites on “stereoscopy” and 3-D images, which I was unable to see, largely because they required two colored glasses, though I would not at that time have been able to see the images anyway. But it was not until I found the site on Vision Therapy that I learned that children regularly learned to “see 3D” by dint of such methods. But what about adults? What about someone who hadn’t seen depth in who knew how long? Could I learn stereo vision, would vision therapy work for me? It turned out that Oliver Sacks had written an article just two years ago on the very subject of stereopsis, or the ability to see and perceive depth via binocular vision. Not only that but the article featured a woman dubbed “Stereo Sue” who, in her late 40s started vision therapy after apparently having not had depth perception since infancy, if then, and within two sessions had a breakthrough. Suddenly,”doorknobs popped out” at her…astonishingly, she began to have stereo vision and depth perception in almost no time at all, even though doctors had always told her it was hopeless. Once a critical period in childhood had passed, they said, it was too late. The brain was fixed and stereopsis could not be learned. Well, she proved them wrong and soon she was standing inside of snowfall, rather than watching it fall on a plane in front of her, swimming with light-giving marine organisms and perceiving them swimming around her. Reading this made me even more determined to try to find a way to learn stereo vision for myself and I was thrilled to learn that a certified practitioner of Vision Therapy worked in a town just across the bridge from me, an easy drive away, one even I could accomplish with a little practice. So, with Leora’s encouragement, I wrote Dr D an email and eventually gave her a call…and soon I too started this therapy for my eyes…It consisted of eye exercises mostly, various ways of learning to converge my eyes properly on an object or image, to improve my eyes’ tendency to go outward. Dr D taught me how to make them go inward – to converge – so I could keep them under my control even if on their own they would wander outward. That way I could control whether I saw with stereo vision or not. I neglected to write about the experiences that in particular made me most desperate to learn to perceive depth, and that was what happened quite spontaneously while taking a walk one day. WIth my new prisms in my glasses, I happened to be striding around the Green, which is exactly a mile in length and so a good lap for walking, and identifying trees as I walked, when I happened to notice the bark on a particularly old and enormous maple. The bark just glowed, its furrows like brain sulci carved deep, chestnut with a reddish undertone, and the ridges a greyish brown, warty from the effects of weathering. These stood out in such brilliant relief that I was dumbstruck and mesmerized. For the longest time I could not move from where I stood, gazing in wonder. That bark was simply the most beautiful thing I had ever seen in my life. The way space curved around each splinter of exposed cortex and every nubble of weathered bark literally made me shiver with delight. The whole expanse of it shimmered. I could not drag my eyes away. Finally I realized that passers by were staring, wondering why I stood stock still, gazing at the trunk of a tree (probably no one noticed at all, but such is my self-consciousness even at times like that). Fearful of being questioned, I made myself walk away, and the loveliness before my eyes vanished…until I reached the next tree, which likewise grabbed me by the heartstrings and held me tight. What was going on? Why was tree bark suddenly so incredibly attractive, so astonishingly beautiful to me? Then I understood: It was space, I was seeing depth, and space was defining the bark. The loveliness of space gave to bark a brilliant beauty that I think I alone could perceive because I could see space as no one else seemed to. Indeed, as I described the experience to others later that day and that week, and as I re-experienced it, always with trees and bark (to see each leaf hanging from a tree in its own pocket of air stunned me into laughing with joy, it was that overwhelming and disarming…) I wanted so much for someone to share this with me, but no one seemed to care or understand. Instead, they only got impatient when I stopped to “see” more closely, to look and experience the space around a tree or the grass. I was devastated. I wanted to take a week away from everyone and every obligation, to do nothing but look, and feast my eyes on whatever they beheld. The experience was breath-taking and unlike anything I had ever undergone before in my life. It was also lonely. Only Stereo Sue seemed to have understood and might have appreciated where I was at, so to speak, and she was not anywhere nearby.Not that she was or is far. I believe she is only a state away, within driving distance in fact. But that doesn’t make much difference when you don’t know someone! Anyhow, it was with that partial ability, and fleeting and unstable experience under my belt, that I went to Dr D as I’ll call her, to see what vision therapy could do for me. Art capital A saved my life. More than that. Art gave me a new life, new hope, and something to get up in the morning for. It’s not that I stopped writing. Clearly that is not the case. But I was writing in a vacuum and needed an outlet for my creative urges that involved more than just my brain. Oh sure, writing involves the hands, too. But not in the way I mean. What I needed was, well, what do I mean? I wanted to make things, create objects or works of art that could be seen and touched and even smelled and if scratched or thrown to the ground, heard. And if I were like van Gogh, I might even try to taste them! In short, I wanted to create something physical, not just an imaginary or remembered world. I have always needed to work with my hands, making something or doing some sort of craft or artwork, though I gavitated towards the crafty side of arts and crafts, fearing that I could not “do real art”, that I was not the stuff of which true artists are made. (And pray tell, what stuff is that, Pamela?) So even when I – on a whim – dove into sculpture during a manic episode, creating that llama-in-a-day I have spoken of, the result was mostly folk art, which is to say, unsophisticated, rustic, and at best a craft-like work. Sure, I was pretty proud that I’d made a lifesize animal that actually stood up firmly on its own four legs. But with a deli container head (underneath the papier mache) and huge mailing tube body, scarcely concealed, big enough to have once held a large amateur telescope, it didn’t look much like a llama. In fact, the result was not much more than that tube covered with a few layers of paper and glue, and all of it painted red. 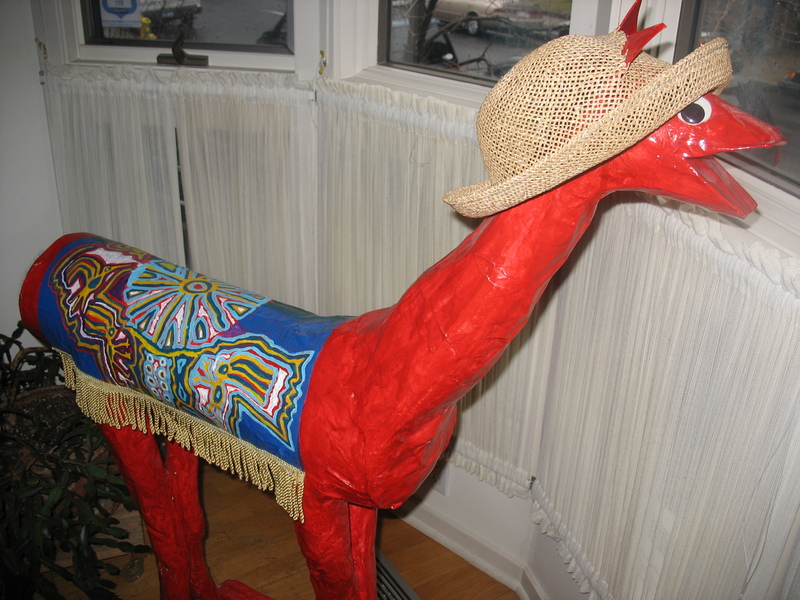 Nevertheless, I was proud of “Dolly the llama,” though it took me a year after the mania was treated to finish her. Her saddle blanket fooled many into tugging at the finge to see if it was real or not. a trompe-l’oeil — eye fooling — success that pleased me no end. But a year was much too much time to complete a sculpture, even a life-size llama. I was almost dreading the work by the time I got to applying the last few strokes of paint. I needed more drive than that to do art, but I didn’t seem to be able to sustain the energey or enthusiasm for much of anything. I wasn’t sure how I managed to write the book, even. Then, during my last hospitalization it seems this obstacle was overcome: on Abilify and Geodon I suddenly had both energy and stamina galore. Or perhaps it is simply that the medications enabled a well me to come out, someone who could sustain an artistic effort, even if it was for the very first time. Given a different life I would have been doing this sort of thing all along had I known it was possible, had I had that kind of stamina… But I didn’t think about this, no, for me there was no looking back. Over the year and a half since then I have created several pieces, large and small, from a large tortoise to a “crazy fruit” bowl. From a large seated man, to a child detachable from her hassock (not quite finished). 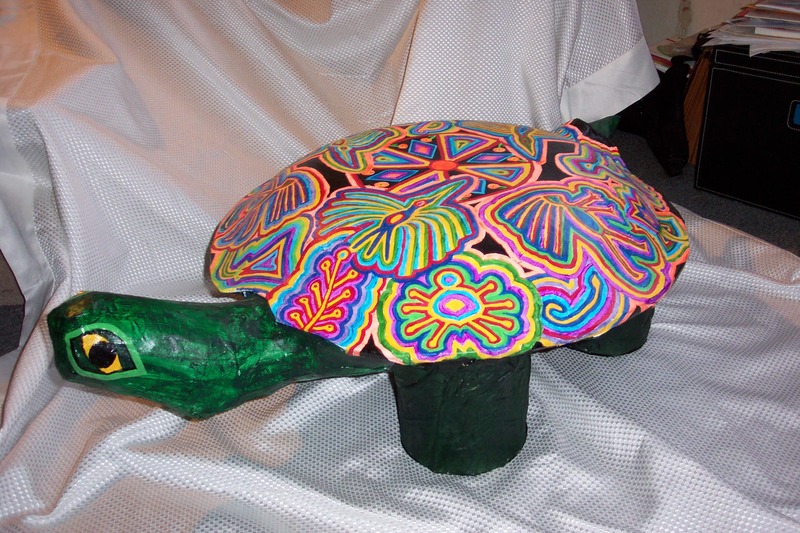 My female sculpture, the Decorated Betsy, has even won a NAMI national contest on creativity and mental illness. But why tell you about them. I want to see if I can upload a few photos instead here, but you’ll have to bear with me as I try out the “program”. First, I want to upload a picture of that llama, just so you can get a look at my very first attempt. She now resides in my parents’ bay window, a placement that I regard as an honor. Looks mighty co-o-o-ld out there! Here is the Dream Tortoise, otherwise known as Yurtle the Turtle, which is about 3 feet in diameter. There are two other large scale sculptures, each a person, plus a work in progress, but it is nearing my bedtime and there will be hell to pay if I do not get my 8 hours of essential-to-my-mental-health sleep. So I will stop here and get back to this tomorrow, posting at least two if not more photos of my artwork then. 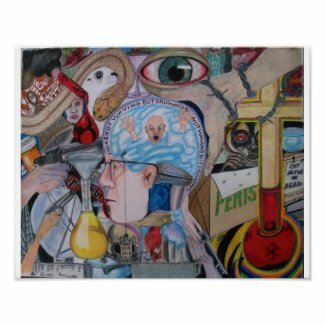 Those of you who used to read WAGblog at schizophrenia.com know it has been a long slog — 70+ hospitalizations over the course of almost 40 years means more than 9 years in the hospital. Sometimes even now the road gets potholes and rocks, becomes almost impassable, though I am much better at simply, well, slogging my way through. Still, the year from October 2007-November 2008 has been one of the best I’ve had both in terms of my illness and of my general happiness and productiveness. With regards to the first, I have stayed on my medications and as a result stayed out of the hospital. Indeed, over the year I was able to cope with vicissitudes that might have undone me without them, including the death of a very dear friend. My artwork – large-scale papier mache sculptures – has become very important to me, even life-saving, with jewelry-making on the side which I hope will become one day a source of income if I am lucky. As I told my father a couple of months ago, spontaneously but with a rush of feeling that surprised even me: I enjoy everything I do. I wake up in morning and I can’t wait to get to work on my sculptures or my writing. This is not to say that I have no problems, have no hard times or things I have difficulty with. It is not to say, even, that I don’t dread certain activities like parties and holidays. I am terrified of simply calling a stranger on the phone! But what it means is, in general nothing bores me, everything I do interests me, which is a gift beyond measure. So what I tell myself, before doing something I believe I will find difficult, is: At least you might get a poem out of it. And that is enough to encourage me onward. I am having some difficulty right now, true. 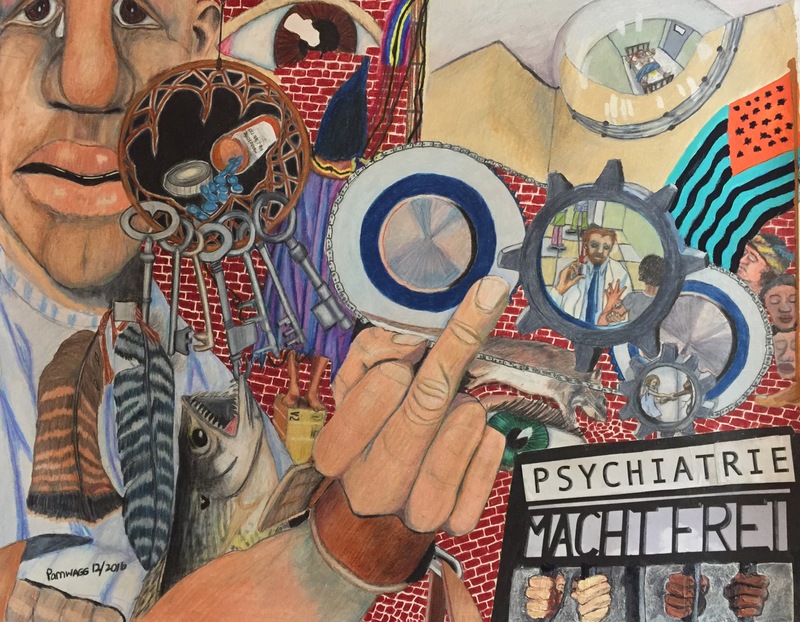 Hypersensitivity to stimulation, increased paranoia and voices — I believe this is all is due to infectious disease recrudescing in my brain, rather than schizophrenia. Which is to say that I believe my schizophrenia has a known cause: Borrelia burgdorferi, or Lyme disease. [Excuse the tangent here: Certain schizophrenia researchers believe that an infectious origin for schizophrenia is very likely. Why not Lyme? B. burgdorferi is a spirochete bacterium, carried by deer ticks and causing an illness much more common now, at least in southern New England, due to humans encroaching on deer habitat. With deer, which naturally harbor deer ticks, the vector carrying Lyme disease, having to co-exist so closely with humans, no wonder the incidence of Lyme disease has increased in recent years, at least in southern New England. I believe we would find it had sky-rocketed if there were a decent test for it and we actually did widespread testing. But there isn’t and we don’t. Now, where was I? Ah, yes, I had started out by saying that I believed my symptoms were Lyme-induced. My psychiatrist, Dr O, who is also a sleep specialist treating my narcolepsy, believes moreover that it is lack of a decent night’s sleep, regularly, that has led to this flare-up. She insists that if I do not get a full 8 hours every night, I start decompensating. Then Lyme flares up and between the two everything starts deteriorating. I don’t know what to think, but I do know that I have been skimping on the nighttime medication, taking perhaps only a half of the liquid, so I will go back to taking the full dose religiously at 11pm and 3am, and going to bed at midnight to try to regularize my schedule better. We’ll see what happens. But precisely what symptoms trouble me at the moment? Mostly hearing things, paranoia, excessive startling at the slightest provocation. All this is especially true when out in public, say in a store or public building. The following is one example: The other day, my father took me grocery shopping at Stop and Shop. From the first step in the door, I was panicked because of people threatening and staring and wanting me out of there. He said, “if people are staring at you, it is because you look so frightened. ” I could not hear him. I was much too fearful to do anything but deal with the situation as I perceived it: People telling me what to do, where to go, what to buy or not to buy, and in general terrorizing me. Every time someone passed me or even just approached from around a corner, I startled, which only upset me further, setting off the tendency to startle again. The whole trip was one of near agony, relieved only by our leaving as soon as possible and getting in the car. Once there, my heart rate immediately slowed and I began at once to calm down. And by the time a half hour had passed at home in my apartment, I was myself again. That is the sort of thing I am talking about. I can’t say it only happens when I am influenced by the little spirochete bacterium, since grocery shopping is usually difficult for me. But it is not usually such a truly nightmarish experience as it was that day. Paranoia of the same sort has occurred before and does so more when I am out in public or in the lobby of my building, where people tend to congregate around the mailboxes and community areas, than in my apartment where I am alone and feel relatively safe. So that wasn’t unfamiliar. On the other hand, the excessive startling – the kind my twin sister, a psychiatrist, says resembles an infantile “moro” reflex – is the one symptom I most associate with Lyme, my particular case of neurological Lyme. It alerted me to the fact that any concomitant increase in psychiatric symptoms was also due to the infectious disease. Making this connection has been tremendously helpful to me; it has put everything into a context I can understand and accept, and offers a concrete and simple-to-comprehend explanation for both my schizophrenia and narcolepsy, since the same symptoms are seen in Lyme. Remember the principle of Occam’s razor, which says that if you have a complex and a simple explanation for a phenomenon, the simple one is usually better? The Lyme explanation – ie that Borrelia burgdorferi caused my schizophrenia and my narcolepsy – really makes more sense than the more dubious proposition that I have two relatively unusual diseases and that neither one has yet been deciphered (both schizophrenia and narcolepsy remain mysterious in terms of cause and cure). Okay, I admit that no one here agrees with me completely, but I much prefer thinking of them this way. Renaming something can carry real power. Just so, calling my illnesses Lyme makes me feel less victimized than calling myself schizophrenic, however indistinguishable the symptoms are. I might become increasingly paranoid and begin to hear voices, triggering concern in my caregivers that a psychotic episode brews. But if I realize that I am startling at every little thing, acutely dyslexic and subject to sudden rage, and that this means it is a Lyme flare-up, everything falls into place. I become, maybe not less paranoid, but less likely to cling to the delusions once they are pointed out to me as delusions. In addition I might be more able to see how I am misinterpreting the world, at least when someone gives me an alternate and perhaps more reasonable explanation. I would like to add a word or two about those in Stop and Shop who were staring at me, as my father suggested they might have been. if true, this was stupid and cruel behavior. I myself would never stare at someone who looked frightened. Instead, I would give them lots of space so they wouldn’t feel crammed in and threatened. Many people don’t understand how they might seem threatening to someone who is paranoid. At best they only know that they mean no harm, want only to help and so they have no awareness of the threat that person may perceive in what they do. At worst, they stare and crowd and to a paranoid person this might seem the most dangerous situation of all – to be trapped and threatened and persecuted, even if it is by “persecutors” who have no intent to harm or even frighten. It seems to me only logical not to exacerbate a person’s obvious fear by staring and crowding, but perhaps I understand this only because I have “been there”. I just don’t get it why people can’t appreciate the obvious: if you crowd or stare at a person who is frightened of everything around her, even if you don’t understand she is paranoid, you threaten her and increase the likelihood of confrontation. Paranoid people don’t mean to hurt anyone, not in the sense of gratuitous injury, but if they attack, they attack — verbally or physically — to defend themselves from what they are convinced beyond shade or shadow of a doubt are threats to their very lives. So while I can see my father’s point, now, that my frightened mien “caused” people to take interest in me, and “induced” their staring behavior, I think he and others should also take a lesson from what I write here. It is something a lot of people need to understand, including police officers dealing with mentally ill individuals in crisis. Several people or even just one if he or she happens to be the “wrong one”, bearing down on a paranoid, confused and fearful person may play a role in that person’s persecutory delusions. If in a crisis you want to help that person, the best thing you could do, aside from giving the person space and time to calm down if that is possible, is to remain at a reasonable distance, speak softly but clearly, and indicate that you understand the person is frightened. That is the most important thing of all: let them know you know how scared they are. You are not afraid of them, but you know how fearful they are. Do not provoke a confrontation; just make sure they know that you understand where they are. If you can accomplish that, you will be halfway to helping them and resolving the crisis. as ask for a poem. the best poems mean what they say and say it. humus rich and heavy from the garden. and golden squash piled high upon your kitchen table. doing holy things to the ordinary. Read just one poem a day. You can now read poetry. Now, I wrote this blog entry late at night in order to get WAGblog started, but I haven’t done any real designing for it, or even chosen the theme I want. So this will have to do for now. I hope if you are reading this, you have enjoyed my poetry and will want to return. Or that if you are a friend from the old schizophrenia.com Wagblog that you will find the new and to-be-improved Wagblog just as interesting to you and will visit often.